There are two separate demonstration areas at our meets. The main forge with a traditional coal forge or optional gas forge is where the main demonstration takes place. 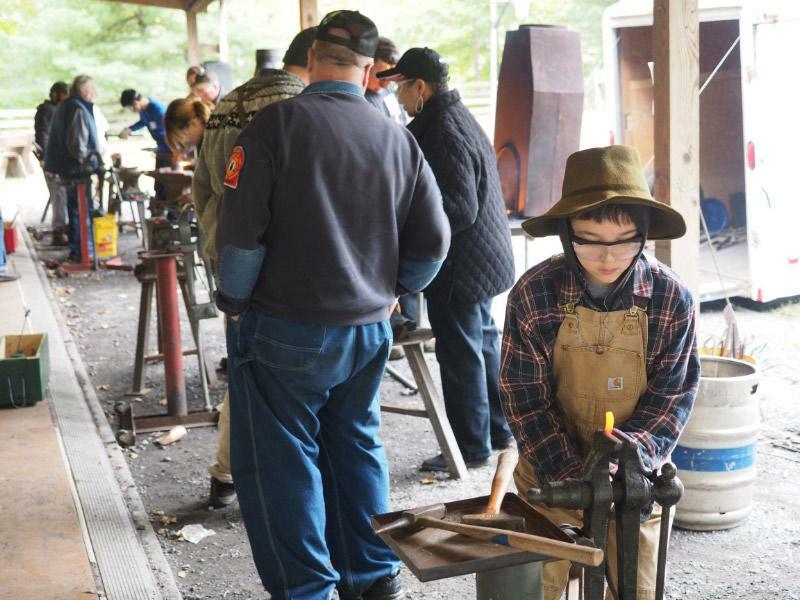 A large pavilion with ten forging stations hosts our hands-on teaching program. Both areas have all the tooling required for all basic forging skills to be demonstrated and practiced.